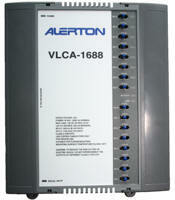 Alerton’s VLCA-1688 includes a high resolution 12-bit A/D; D/A converter and new, 32-bit processor and real-time clock that supports its own schedules, trendlogs and alarms. The controller also features monitored on-board Hand-Off-Auto (HOA) switches, Ethernet or MS/TP connectivity, and additional math functions beyond a standard unitary controller. It also leverages new DDC Function blocks such as a sunrise/sunset calculator and wet bulb calculator. New AF and NF spring return actuators provide more features in a smaller housing, about 25% smaller! Low power consumption, increased torque to 90 in-lb (50% more compared to original NF series) and 180 in-lb (35% more compared to the original AF series), and faster running times (with MFT technology) offer new solutions for control dampers, control valves and retrofit applications. The New Generation can be integrated with new and some existing Belimo accessories allowing for more options in both mounting and commissioning. A wide selection of clamping options, electrical connections and running times are now available providing you a cost effective solution with the same reliability you have come to experience with Belimo. The New Generation spring return actuators are suitable for use in control dampers up to 45 square feet* (with new AF) and up to 22 square feet* (with the new NF), air handling units, control valve, retrofit t and replacement solutions and tandem mounted applications where higher torque is required. PPM Technology’s newest IAQ monitoring system the Wireless IAQ Profile PPMonitor enables simple, effective and flexible management of the Indoor Air Environment. The PPMonitor can continuously detect, measure and record a number of parameters, including Temperature, Humidity, Formaldehyde, Nitrogen Dioxide, Carbon Monoxide, Carbon Dioxide, Sulphur Dioxide, Ozone, Ammonia and TVOC’s. Real-time functions enable immediate warnings of the presence of harmful gases in the air thus protecting employees and the public. The wireless units communicate via the sophisticated and reliable Zigbee wireless mesh network; the network can be extended easily by adding repeater nodes or additional PPMonitor or Mini PPMonitor units; each unit can be configured with unique sensor specifications if required. 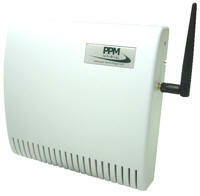 This allows complete monitoring of the Indoor Air Environment in any building layout. Peter Fox-Penner, principal and chairman emeritus of The Brattle Group and an internationally recognized expert on energy and electric power industry issues, describes his vision for the future of the power industry in his new book, Smart Power: Climate Change, the Smart Grid, and the Future of Electric Utilities. He concludes that the industry’s century-old business model must undergo a radical redesign in order to adapt to an era with new priorities, goals, and technologies. Dr. Fox-Penner offers three recommendations for the utility industry. First, he notes that the passage of an economy-wide price on carbon would provide the industry with more clarity and better price signals. He also calls for greater discussion on how to maximize cost effective energy efficiency and the role of utilities in this mission, a dialog currently led by the Obama Administration. Finally, he suggests that the federal government fund an academy for energy regulators to foster a greater understanding of the day-to-day challenges of the coming transition and to create a resource base for impartial, depoliticized analysis of complex transition questions. 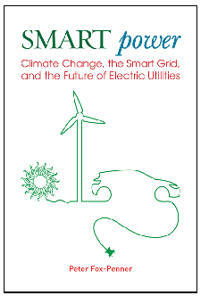 Smart Power: Climate Change, the Smart Grid, and the Future of Electric Utilities (Island Press, April 2010) is available at www.smartpowerbook.com or www.islandpress.org/smartpower. The T7350 Commercial Programmable Thermostat controls 24 Vac commercial single zone heating, ventilating and air conditioning (HVAC) equipment. The T7350 consists of a thermostat and subbase. The thermostat includes the keypad and display for 7-day programming. The subbase includes equipment control connections. The subbase mounts on the wall and the thermostat mounts to the subbase. Smart-HDL introduces our VIDEO INTERCOM SYSTEM. - 2-Wire system – With Non-polarity connection, One-Power solution and touch screen operation, high level expansibility, easy upgrade and advanced data managing, it could be easier. - 4-Wire system for Villa – All monitor can match all the door cameras, touch screen operation, picture memory, direct 2 door camera connection and the MDS unit connect up to 4 CCTV cameras, it provide you most friendly and limitless system. - Cat-5 system for apartment – TCP/IP network system, use computer to detect system status, configuration, easily install and maintain. - 6-Wire system for big building and apartment – Up to 120 buildings, 512 apartments and 5000 IC cards each building. Maximum 8 Door Stations in each building. RS485 Bus network access control and the server can save the video and image records.